This weekend Absolutely Cultured presented its most ambitious event for 2018 as 60,000 people took to the streets of Hull to enter a world of stories. 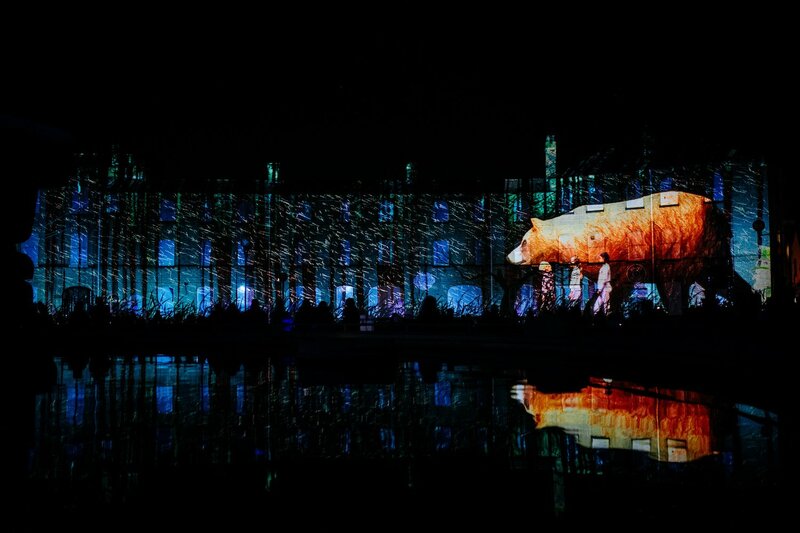 Over four beautiful winter nights, the city of Hull came alive with Urban Legends: Northern Lights, igniting imaginations of all ages with wondrous sights and sounds. Buildings, streets, shop windows and the majestic Hull Minster became the pages on which stories were told as this newly commissioned event of captivating projections and atmospheric soundscapes brought together six leading national and international artists from the UK and Scandinavia. Several of the artists were making a return to the city after successfully presenting work as part of Hull UK City of Culture 2017. Taking inspiration from ancient mythology, fairy tales and oral history, the event drew on the connections between Hull and the countries across the North Sea in Northern Europe and Scandinavia, sparking conversations about the common stories shared between these places. Creative Director and CEO of Absolutely Cultured, Katy Fuller, said: “This weekend has shown just how much appetite there still is for new, imaginative events. It was wonderful to see the city so buzzing and full of life, with so many people of all ages coming together to enjoy their city, seeing their streets in a different light. Fairytale-inspired Still Lives by Studio McGuire, located in Whitefriargate shop windows, will continue until 6 January 2019, every day from 4pm. Recently relocated to Hull, the McGuire’s draw on their beautifully stylish aesthetic to create a series of theatrical and captivating shop window displays, with a twist. The work of Absolutely Cultured would not happen without the generous support of funding partners, particularly Arts Council England and Hull City Council. Urban Legends: Northern Lights was made possible with the support of our corporate partners including Wykeland, Rollits and BP.